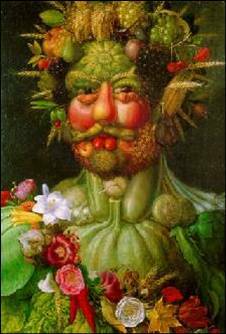 EPICURIOUSITY: To Dine In or Out? That is the Question. To Dine In or Out? That is the Question. It's always a dilemma about what to do for Valentine's Day. I find it to be one of the worst nights of the year to go out to dinner. Its kind of like New Year's Eve in that way. Special menus, crowded restaurants, surly single wait staff or bitter involved wait staff that wish they were home in front of the fire with their loved ones. We are staying in this year- I actually have a PhotoShop class until 9. I am bringing home a molten chocolate cake to eat in front of the fire. 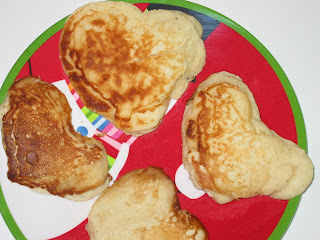 I did start the day with heart shaped pancakes for my wife and kids. Some of them look like they may need bypass surgery- But all I had was one cookie cutter and making sure they set before I moved to the next one was tricky. And I did have to work today. .O spirit of love, how quick and fresh art thou! That it alone is high-fantastical. " I vote for eating in! Even though you may have to cook (there are other options that I include in my post on Valentine's Day), much more opportunity for a private, romantic and leisurely meal!